Settlers in North Carolina in the 1660s were required to own musket, powder, and shot in order to claim land grants, and as early as 1667 Governor Samuel Stephens was ordered to "trayne bands and companies" of soldiers "to suppress all intrigues and rebellions [and] to make war offensive and defensive with all Indyans, Strangers, and Foreigners." To this end the colonial Assembly was to "nominate, place and commissionate all Military Officers under the Governor" with instructions to said governor "to take, to muster and trayne all the soldiers . . . and to exercise the whole militia." Implicit in this arrangement was the establishment of a muster ground, a central or an acceptable field or fields, to perform the training and review the militia. Whether a militia was actually organized, trained, and fielded at that time is unclear, as the Fundamental Constitutions of 1669 only required that men aged 17 to 60 be summoned to serve as soldiers "whenever the grand council shall find it necessary." Since there was no mention of an active militia in the 1600s and early 1700s-probably because of a large Quaker population and others who refused service-it can be presumed that North Carolina was among a number of colonies that, as pointed out to Queen Anne in 1706, lacked a "regular militia" establishment. 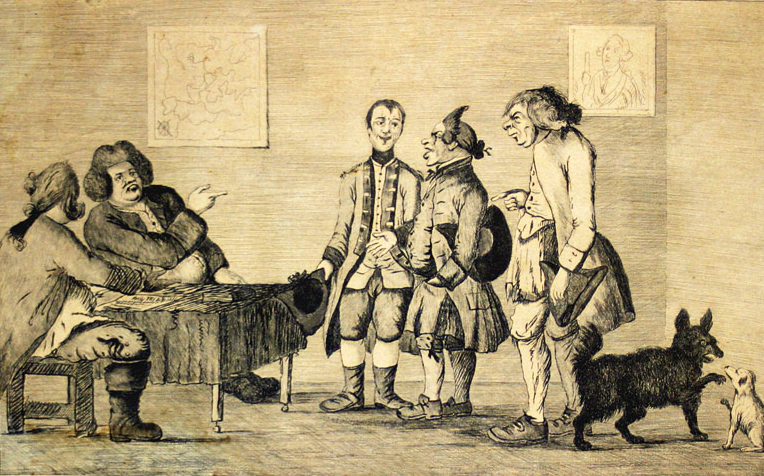 In 1711 the Assembly, in response to attacks by the Tuscarora Indians, required that all men aged 16 to 60 either fight or pay £5 in lieu of service. The Quakers' refusal to do either, as well as insubordination in the ranks of those being trained, hampered the implementation of the law but indicated that the training of companies under captains was taking place. Four years later a second law, similar to the first, enlisted men and strengthened the fines of those who would not serve. The act also required each company captain to create a list of eligible freemen, update it every October, and send one copy to the governor and a second to the colonel of the regiment. Regular training sessions, or musters, were not mandated, with the assumption that a muster would be called in response to a crisis. This act, with modifications, was reissued in 1740. Governor Arthur Dobbs (1754-65) found the implementation of these laws inconsistent with the defense obligations of his office, because the militia regiments were understaffed, ill-equipped, and poorly trained. In addition, they lacked leadership, had no muster rolls, and were unable to take the field if needed. Accordingly, in 1758 Dobbs fashioned a stronger militia bill that increased fines for derelict behavior, improved record keeping, and required at least eight musters per year-four for each company and four general musters per regiment. Successive militia laws in 1764, 1766, 1773, and 1774 sustained Dobbs's work but reduced training for each unit. By 1774 companies and regiments were expected to drill only twice a year. Companies were permitted, as was traditional, to train at a site chosen by their captain, but regiments were for the first time in 1774 required to muster at the courthouse. Even with these reforms, the system functioned little better. During the American Revolution, most militia units were, in the words of Gen. George Washington, "totally unacquainted with every kind of military skill" and were unreliable in combat. Although commanders like Washington and Nathanael Greene increasingly called for professionally trained soldiers, or Continentals, postwar economic restraints forced a return to a militia system. In an effort to coordinate and improve the quality of these citizen soldiers, the newly established federal government implemented a militia act in 1792. According to this law, companies made up battalions that created regiments that composed the brigades and divisions of a national militia. Companies were to muster six times a year, whereas regiments and battalions met biannually. Brigades and divisions came together only annually. The 1792 measure signaled the end of local militias, although problems in the militia system were not unknown. By the 1820s it was reported that drunkenness, lawlessness, and insubordination among militia troops was common, and where this did not occur the muster was likely to become a holiday with weapons intentionally left at home. In the words of one militia colonel, "Our militia are worse than useless." R. D. W. Connor, North Carolina: An Ancient Commonwealth (1929). Jean M. Flynn, The Militia in Ante-bellum South Carolina (1991). Guion Griffis Johnson, Ante-Bellum North Carolina: A Social History (1937). "AN ACT for the better regulating the Militia of this Government (1740)" North Carolina Office of Archives & History. http://www.ncpublications.com/colonial/editions/Acts/militia.htm (November 7, 2012). "Collection Title: North Carolina Militia, 5th Regiment Records, 1810-1815. Collection No. : 00536-z." Southern Historical Collection. University of North Carolina at Chapel Hill. http://www.lib.unc.edu/mss/inv/n/North_Carolina.Militia.Regiment,5th.html (November 7, 2012). "Building a 1750’s North Carolina Militia Impression." Fort Dobbs State Historic Site. (November 7, 2012). Kay, Marvin L. Michael, and William S. Price Jr. “ ‘To Ride the Wood Mare’: Road Building and Militia Service in Colonial North Carolina, 1740-1775.” North Carolina Historical Review 57 (October 1980): 361-409. Wheeler, E. Milton. “Development and Organization of the North Carolina Militia.” North Carolina Historical Review 41 (July 1964): 307-323. Bunbury, Henry William "A Militia Meeting." (print). London: J. Bretherton. 1773. http://www.bostonteapartyship.com/committees-of-correspondence (November 7, 2012).